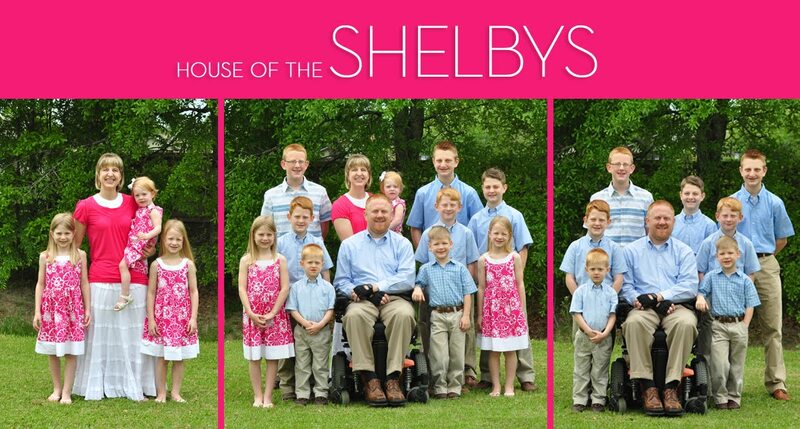 The Shelbys: Splash Park Fun! 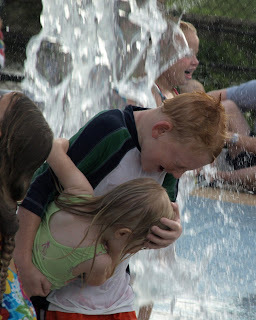 Saturday evening (after naps), we decided to take the children to a local spray park in our area. We had never been there before but had been to one like it at Tickfaw while camping. Thought it would be fun for the kids to play since they haven't had any water fun as of yet this summer. 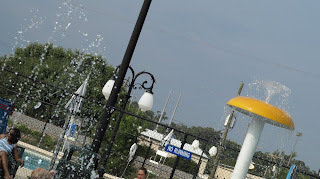 This was the first entrance to the spray park. As you enter, there are water fountains as well as a pond with fish and lily pads. This is the entrance to the actual spray park. It is a free park which makes it even better. Rob said this is where our large sum of property tax is going;) This parish has a really high property tax! Emma getting ready to have some fun. These are water buckets that are up in the air. They are continually filling up with water and then at different times as they get full they dump the water out onto the children. Rob trying to get Sarah to feel comfortable out there. Abram's excited about playing in the water. Cade decided he was going to take Sarah out there to get wet. She wouldn't look at the camera because she was too busy checking everything out! Can you see Emma? Taking Sarah through a spray. Look at Abram...he is having so much fun! Cai spinning the wheel to make the water turn on and off! This little boy wanted me to take a picture of him showing me his gum and his parents didn't seem to mind so I took his picture. Ian took Emma under one of the buckets before it tipped over. I think he got more water than she did! Rob hanging out with Sarah. A clown spray...this is the one that they turn the wheel to make it turn on and off. Ian wouldn't look for any pictures but I caught him getting wet under the flower sprayer. Rob taking Sarah around the sprayers. She looked like she was doing a dance in the water. Ian and some of the other boys getting hammered by the buckets. They would stand there and guess which one was going to dump next so they could get wet. Trying to make it under one of the buckets. What a good big brother!!! Cade took Sarah through some of the sprayers after she felt more comfortable. 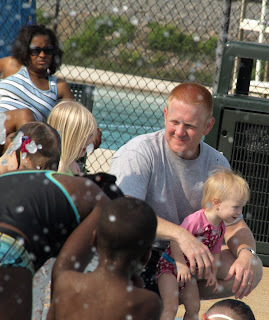 He loves helping out with the little ones!! Ian, Cai, Tate, and Cade waiting for more water to fall. Look at this BIG smile! Cai under the flower sprayer. GREAT pictures Amy!!! Looks like it was a lot of fun! Call us next time you go. Cade is a sweet helper. He will make a good daddy one day, Lord-willing. Wow, great fun! You got some great shots too! What fun - we don't have very many water parks here. Only one big one about two hours away - must be because it rains so much here in Western Washington - in fact it's raining and 65 right now :0)! My sister just moved to New Orleans with her husband (a coastie) so we may visit the deep south one day. Your chilren are darling! Love the ice cream for supper. Now that is some nutrition!!! I've really got to look into this place. Looks like it was loads of fun and you got some really GREAT shots!! you got some great shots - and my kind of dinner! Awesome pictures of a FUN time!!! We have a park like that 30 minutes away, our kids love it. We haven't been this year but "need" to go. That's always so much fun! Great photos. This is the park tammy& I have been trying to go to!!! Great pics of the kids! That looks like a super duper fun place that my kids would love! Glad you have one so near to you and that it's free! love all the water shots. tried to go Monday with Kim but it was closed. Bummer. We will get to go soon though.